So I found a really old backup of World of Chaos DX: Extended (so old, elemental charging wasn't even added! ), and began to derp around in it, updating the graphics with my refined hue-shifting technique. Behold, how much control the power of color can REALLY have on your works. Wanted to try something out. Why don't you try to edit the original rom? It would be extremely awesome. Nah, I don't know anything about rom hecking, and I'd rather devote that kind of time to my own stuff, ha ha. Finally redid Koh's midres sprite. Now I've more space to show things like the bent knees. So I can try doing the better walking animation from this new version. Also, the animations aren't simply flipped, so his battle stance will look different facing left. Just practicing less aggressive, but still noticeable shifting on tiles. A Link to the Past's flat colors were used, while I made my own highlights and shades. Why is Zelda always my default experimental route? Proof of Concept Mock HUD. Imitates the flat color + white highlight style in the menu boxes, given a drop shadow. GB Screen is TINY. WonderSwan has the same height, but is at least Widescreen with its 224x144 size. Sprite I made for my 9th anniversary on another set of forums. 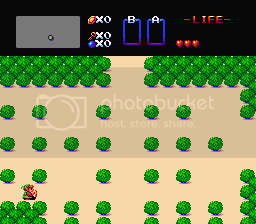 Zelda was what brought me there, so I figured I'd make a my own sprite for the occasion. Knowing how good you are at your sprites, I'd definitely take a hit off your joint. Just a little quicky I did this morning. Wow these are all amazing! It's been a while since I've sprited. I kinda felt like doing the rest of the walking for Link today, as well as preparing his alternate colors. I was just updating the default poses btw, so there's no jumping or swimming or any of that. I don't even have those graphics. Holding items is missing currently. It all look good? This is free to use, naturally, as it's fan material. Just give credit where it's due, please. I starting having too much fun with this. 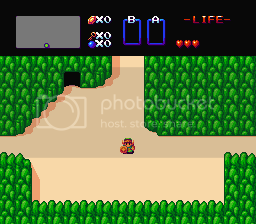 Now I'm curious how it'd turn out if LTTP had a remastered port with a graphics setting for this, lol. You know, that scaling technique, and working within the old pixels rules for that old revamp thing is actually extremely useful for making hi-res/HD versions of sprites. It ensures you keep the same general proportions as the original, while also adding more detail. I took that updated version of Koh's old sprite and did a lil test. You pick the dimension that matters, which in this case was Height, and try to match up to the scaled vertical dimension while you work on fixing it up. The dimension that doesn't matter, in this case width, is free to either stay where it is, or be shrunken. In this case, it was shrunken by a pixel on both sides to make him less fat and more tall. 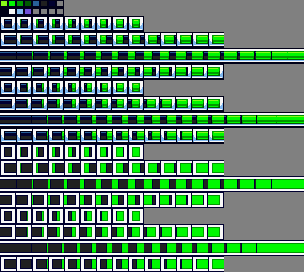 With this setup, not only are the sprites hi-ressed, but they also stay within the collision boxes of the original. Man! If I had known this years ago when I was actually working on the 2012 version of World of Chaos, it'd have saved me a lot of time and made this whole thing so much easier xD. Lemme just say I really love this bite-sized sprite thing. Simplistic and retro at the same time. And then the res-lift modernizes them, but still keeps it pixel-ish. 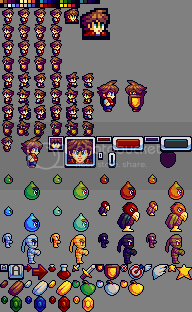 It's impossible to put any shading on sprites that small with outlines, lol. 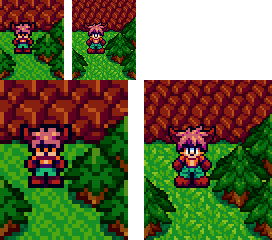 And I hate outline-less sprites, because they blend in with the background . I'm sure tiles at this size would be no problem to shade though. Been a long while since I've posted anything. Random stuff. Best dust off the cobwebs one more time before final exams begin. So, we're going to let players choose between a boxy or rounded style with hi-res HUD frames and text. Oh well that's kinda neat. Is that being done just for aesthetics or for performance reasons? The rounded versus boxy styles? Well, believe it or not, the rounded style DOES increase the filesize by a few KB...But it was mostly just for aesthetics; whichever the player likes the look of the best. 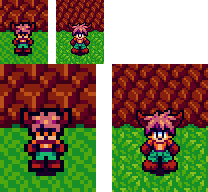 Just practicing making some tiles. More to come over time. Page created in 0.137 seconds with 61 queries.